A growing body of research links calorie-restriction to longevity, and now a new study suggests that eating less may help keep the mind sharper, too. The study in mice found that eating a low-calorie diet could reduce genetic changes linked to age-related cognitive and memory decline. Researchers led by Stephen Ginsberg, an associate professor of neuroscience at NYU Langone Medical Center and a research scientist at the Nathan Kline Institute for Psychiatric Research, focused their study on female mice, which, like humans, are more prone to dementia than males. The team gave food pellets to the rodents that were 30 percent lower in calories than what they fed to the control group. In particular, the mice ate fewer calories derived from carbohydrates. The researchers then analyzed brain tissue of the rodents in middle-age and adulthood, particularly the hippocampal region, which is greatly impacted in the early stages of Alzheimer's disease. They found the mice that were fed a lower calorie diet had fewer changes in 900 genes that are linked to aging and memory. Ginsberg said in a press release that this finding "widens the door to further study into calorie restriction and anti-aging genetics." He presented his paper at the annual conference for the Society for Neuroscience on Nov. 17. 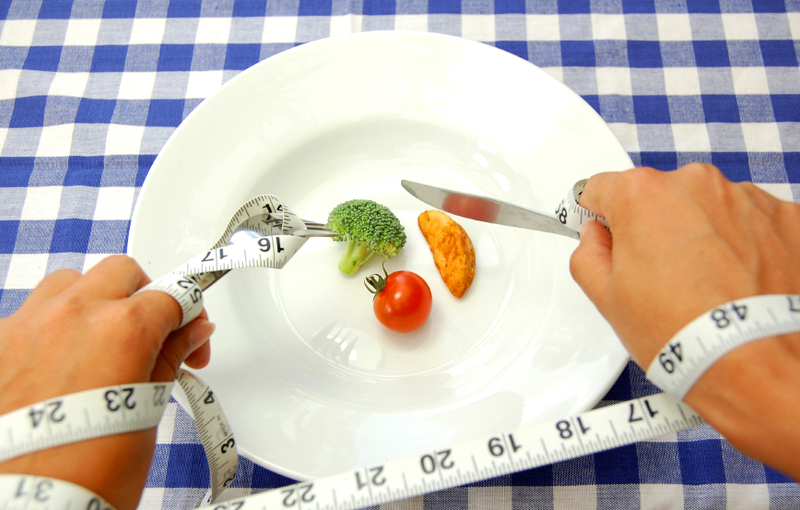 Calorie restriction has been found to extend life by 30 to 50 percent in a number of animals, including rats, mice, fruit flies and roundworms. However, the phenomenon has not been well-documented in humans, though researchers link low-calorie diets to reducing a number of age-related conditions including heart disease, high blood pressure and stroke. Though it's still unclear why calorie restriction would have these benefits, researchers offer a number of possible explanations. Some say chronic under-eating puts the body in physiological defensive state, activating the stress response, a process known as hormesis. Other researchers suggest that keeping life low-cal alters a person's microbiome, the collection of bacteria in our bodies. Gut bacteria, in particular, have been linked to a variety of chronic diseases. Many proponents of intermittent fasting say the diet helps to reduce the accumulation of oxidative radicals, which impede cell function. Others say calorie restriction prevents the development of insulin resistance, which also reduces the risk of certain age-related diseases such as diabetes and cancer. However, some experts question the benefits of skipping that second helping. A 23-year study on rhesus monkeys conducted by researchers at the National Institutes of Health and published in Nature, found that monkeys on a calorie-restricted diets didn't live longer than monkeys that ate a diet high in calories.